The world-renowned singer is ending his musical career with "the perfect record." Soon to release his 10th studio album, Michael Buble will reportedly put his music career to rest as he revealed that it would be his last record in his entire singing career. In an interview with the Daily Mail, the Canadian singer-songwriter said that his son Noah's battle with cancer changed his perspective in life. "I don't have the stomach for it anymore. The celebrity narcissism. This is my last interview. 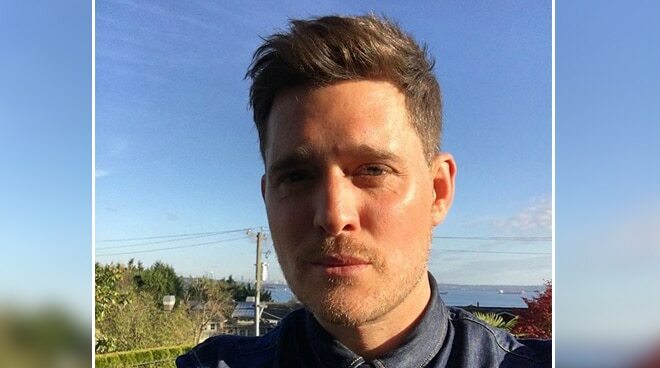 I'm retiring," Michael Buble said. "I've made the perfect record and now I can leave at the very top," the much-adulated crooner added. Michael Buble, who has worked with Martin Nievera and Sharon Cuneta in the past, opened up about how he coped with his son's emotional journey. "I never called it the hospital, I called it the fun hotel. And every day I got extra bed sheets and I'd build a tent for Noah. I just made the best of it. Survival." Admitting that he had a lot of questions going on in his head, everything that happened to him recently made sense by changing him as a person. "It's been such a difficult exercise. But my whole being's changed. My perception of life." It was in 2016 when Michael Buble's son got diagnosed with liver cancer. Now, his son is currently in the remission stage. Michael Buble is married to Argentinian model and actress Luisana Lopilato for which he shares three kids.